Introduction by Gilad Atzmon: Ethnic cleanser Advocate Alan Dershowitz cannot take a defeat. He simply cannot get over the fact that a concert of my music at Friends School, NYC two weeks ago, was an outstanding success. In spite of his relentless attempts, Zionist mouthpiece Dershowitz didn’t manage to cancel the fundraiser concert. In the last two weeks, he has been mounting pressure on the school and NYC papers. By now I would expect Dershowitz to acknowledge that growing familiarity with my writing doesn’t serve his cause, for my writing is humanist as opposed to his own tribal supremacist materials. Dershowitz was quoted saying "If that same orchestra invited David Duke to play saxophone, it would never have happened." As usual I have to correct the compulsive liar Dershowitz. At the NYC Friends Meeting House, I wasn’t just playing saxophone. The Meeting House Orchestra was playing my music. They decided to play my music because of its harmonious and peaceful message. They played my music because my art is an attempt to cross the divide created by Zionists like Dershowitz. As far as I am aware, David Duke is not a saxophonist. However, I really do not understand why Alan Dershowitz believes himself to be morally superior to Duke. Dershowitz is a Zionist Jewish supremacist, he is a world leading advocate of a racist and expansionist ideology, namely Zionism. And yet, I wouldn’t say no to an invitation for a musical gathering along together with Dershowitz on tuba and Duke playing the trumpet, just because I believe that music brings people together. According to The Wall Street Journal “Dershowitz threatened to stand outside the school this week and distribute copies of an essay he wrote critiquing Mr. Atzmon's work unless the school took action.” I do believe that such an action on behalf of Dershowitz would make a wonderful youtube clip. It would be hilarious to see the kids drifting away from the scary Zionist elder. Most parents at Friends Seminary were unaware of the writings of Gilad Atzmon when they first saw the posters promoting his participation in a Martin Luther King Birthday concert on the school's campus last month. But over the past two weeks, administrators and parents at the elite Quaker private school in Lower Manhattan have become quick studies after Harvard law professor Alan Dershowitz publicly criticized Friends Seminary for inviting a musician he called a "notorious anti-Semite and Holocaust denier"—accusations that Mr. Atzmon, who was born Jewish, staunchly denies. The clash sparked days of discussion at a school that prides itself on tolerance and inclusion and launched debates on parenting sites such as UrbanBaby, where some posters vowed to pull their applications in protest. In a statement provided to The Wall Street Journal on Tuesday, school officials expressed "regret" over any offense caused and announced they would be establishing new procedures governing guest speakers and performers. Although the Jan. 12 concert was on the school campus and directed by a teacher, the Meetinghouse Jazz Orchestra is an independent organization that was using the concert to raise funds for the Friends Shelter, which is also independent and housed on school grounds. 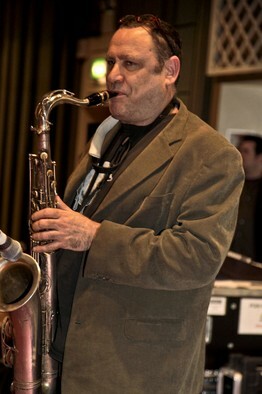 Mr. Atzmon, a saxophonist, played in the concert. But it was his words, not his music, that drew criticism. In his book "The Wandering Who," he labels the recent global credit crisis a "zio-punch" and argues that if Israel starts a nuclear war with Iran, "some may be bold enough to argue that Hitler might have been right after all." "It is a reasonable thing to say," Mr. Atzmon said when reached by phone. He added that he hoped this scenario would not come to pass. He said he's not a Holocaust denier. "Members of my family perished in [World War II]," he said, though he added that he was less interested in the number of people killed during the war than in how "five years after the liberations of Auschwitz, Israel, the Jewish state, established the law of return that is racially driven and categorically not different from the Nuremberg law." Mr. Atzmon's performance was his second recent appearance at the school; last year he visited a music class and distributed his book's foreword. The essay describes his growing engagement with jazz and Arab music even as he becomes increasingly disillusioned with Israel and its leaders. While serving a mandatory stint in the Israeli army, "I knew our leaders were lying," he writes. "Every Israeli solder realized this war was an Israeli aggression." Ultimately, he writes, he came to realize that Palestinians were victims of a "brutal ethnic cleansing" and left the country because Israel was "bad news." Only by overcoming Israel's "supremacist" culture did he come to appreciate Arab music. The essay "contains material irrelevant to a music class," Friends Seminary said in the statement, adding that officials "regret" it was assigned. "Friends Seminary is not anti-Semitic and in no way endorses the political views of Gilad Atzmon," the statement reads. "We regret that we offended anyone." The teacher, who also leads the Meetinghouse Jazz Orchestra, couldn't be reached for comment. It was a beginning, said Mr. Dershowitz, who threatened to stand outside the school this week and distribute copies of an essay he wrote critiquing Mr. Atzmon's work unless the school took action. "If that same orchestra invited David Duke to play saxophone, it would never have happened," Mr. Dershowitz said. Still, he added, "It's moving forward in the right direction." Alyssa Sadoff, a co-president of the Friends Seminary Parents Association, learned of Mr. Atzmon's participation in the concert the night before, when a parent called her at home. "I didn't know anything about him so I looked into it," she said. "I was certainly not happy." After several parents approached her with similar concerns, she met with Principal Robert "Bo" Lauder. "I basically questioned how this could possibly have been an appropriate choice for our school community," she said. In the past two weeks, "many" parents have met privately with Mr. Lauder, she said, and there have been small group meetings with parents and students. "I really do feel like people have moved on from this," she said, adding that she was satisfied with the resolution. "You don't usually have policies until something bad happens and you have to make one." Gilad Atzmon's New Book: The Wandering Who? A Study Of Zionist's tactics. interests and influence Amazon.com or Amazon.co.uk.